Netherlands poker player maggess88 wins the Event #73 of the world championship of online poker. This is second WCOOP title win. His first was in 2015. He was the runner up of WCOOP Main event back in 2014, where he beaten by Fedor ‘CrownUpGuy’ Holz. Maggess88 is a two time COOP champion as well. 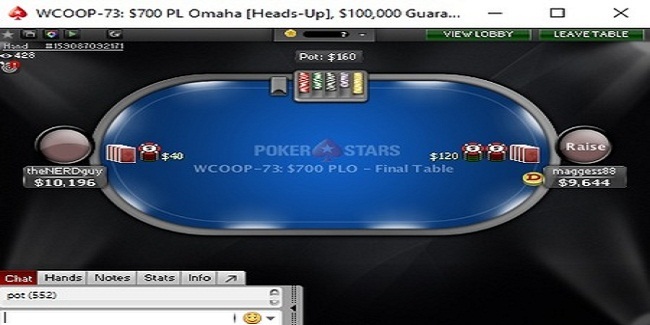 The event#73 was a $700 buy in Pot Limit Omaha, which received 211 entries and generated $140,315 as prize pool. Top 32 players of the event get paid. Australian poker warrior Yuri ‘theNERDguy’ Martins was the runner up in this heads u game against maggess88. Martins made an amount of $21,047, being runner up. 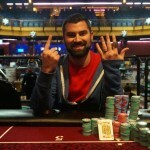 Martins have won many prestigious live and online poker tournaments. His all time earning is more than $6 Million which also includes $708K from 2014 WCOOP Main Event, where he finished as a runner up. Most of the entries to the tournament were made on day 1, but only 16 players were able to survive for the next round of the game. First 30 minutes saw, three players getting busted out such as Lena900, azn_baller3 and SixthSeSe19. Eighth, seventh and sixth position of this pot limit Omaha belongs to players such as ImluckNuts($4,911), allucan3at($4,911.02), and azn_baller3 eliminated in 6th place for $4,911.02. Fifth, fourth and third position were blkcrow. He was trying to win a second WCOOP this year, but busted to fifth place for the same $4,911.02, Mafews took home $11,225, being fourth, while Ti0373 collected the same prize as it was for Mafews i.e. $11,225. Meanwhile Russian Ti0373 becomes the third position holder for this event, who made an amount $11,225 as winning share. 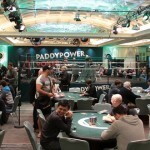 The heads up was among two remained players and they were maggess88 and Australian Yuri ‘theNERDguy’ Martins.